This post was published 10 years 7 months 22 days ago which may make its content inapplicable to the current Islanders roster and/or team news. This site is not responsible for any misunderstanding. I am a regular reader of Greg Wyshynski’s blog – Puck Daddy and Greg has been polling various bloggers and media types on 5 things they would change in the NHL. Feeling inspired, I wanted to list 5 things that Scott Gordon needs to change in order to make the Islanders better and/or successful. Looking back over Ted Nolan’s tenure with the Islanders, some may find it easy to pick apart all his deficiencies. Instead of listing all of the negatives, I will leave them implied in what I feel are areas that Gordon needs to work on in order to help bring the Islanders up from the NHL’s basement in terms of respect and talent. Who is Scott Gordon exactly? Scott Gordon in a young coach licking his chops for his chance to prove he can bring his AHL success to the NHL, and he is getting that chance with a team in desperate needs of success in the New York Islanders. He has a history of grooming young players for the NHL and can relate to players on a personal level due to his own path to the NHL. It is this relationship that is key, a coach who has a good player relationship gains the trust and respect of the players – will be able to lead that group of players just about anywhere in any condition, much like a Commanding Officer would be able to do in the military. One of the first things Gordon needs to do, is gain the trust of his veteran players. Without the veterans on a coaches side, there is a good chance your entire locker room will be on edge with your decisions. This is a big test for Gordon, because his “veterans” in the AHL have not been just about as old as he is. Guys like Guerin, Sillinger, Witt, Weight and Park will get the team fired up no matter what the night looks like, they will go even further if they believe in the coaches vision. Second on my list to success, Gordon needs to formulate a game plan that plays to the teams strengths and weaknesses. Everyone knows that the Islanders lack the firepower as many of the other teams in the league, especially the division. At the same time, the Islanders cannot continue to sit back and play an all out defensive system for long stretches of the game or even season. Gordon has to utilize players down low, establish passing, look for back door plays and be strong in front of the net. Hopefully, we never see Nolan’s 1-3-1 defensive system again – unless we are in complete shutdown mode. As a former goaltender himself and native New Englander, Gordon needs to reach out to DiPietro and get through to him that it’s great he wants to play in every game, but it’s better for the team and his own health if he plays in fewer games. It’s clear that Nolan did not use the competition between goaltenders to the fullest advantage – and we lost a great goalie in Dubielewicz because of this. The Islanders are a better team when DiPietro is healthy, we need a solid rotational system that Gordon will adhere to. Number four has been a very large pet-peeve of mine over the course of the last 3 seasons. If something is broken, it must be fixed – and quickly. Too many times over the course of the last several seasons has a power play or an even strength play not worked. There was not enough vision, thought or even experimentation attempted (for those on the outside) in this area to change what was not working. Gordon needs to get with his assistants and communicate what is and is not working and build on that. He has already said in some of his interviews that there are teams that pour over tape and shut down areas that teams exploit during games. His coaching style needs to constantly grow and evolve, it shouldn’t remain too much the same as teams will learn how to defeat the system. Number five is likely to be the biggest area that Gordon needs to change. Garth Snow has let his plan be known, there is no question that the Islanders are rebuilding and that he wants our prospects to gain valuable NHL experience. Nolan was hesitant to play the kids in man advantages or dis-advantages, late in the game or even when down too many goals. I think the average ice time for players like Tambellini, Nielsen and Comeau was around 8-9 minutes a game last season. Gordon needs to play the kids in all situations and give them equal ice time. He also needs to get the most out of players such as Tambellini and Bergenheim, groom Okposo and Bailey, and see where other players such as Hillen stand. There have been many teams with a very young roster who have been successful, but they were only successful because the younger players had their chance to play. Here is a freebie – even though it is technically “Number Six”. Scott Gordon needs to win over a fan base that is ready to tear apart the Coliseum sans any heavy construction equipment. While this may still benefit Charles Wang (think of all the demolition savings), it places a new coach in a position it takes other coaches years to reach – in the hot seat. If Gordon does well this season and the fans begin to sense a change in tide – I do not see any reason why he cannot win the trust of fans. One thing is for sure, Scott Gordon is here – and we are certainly about to see what he can do with these New York Islanders. Nice list, Mike, I think you nailed it. Regarding #3, I hope MacDonald makes that possible. I’m still a little confounded that they let his one-way contract dictate their lack of effort to bring back Dubie. Very good points Mike. Let’s send Gordon the link! I wanted to add increase scoring, but I figured that was included under Number Five. Ha, I wouldn’t put it past Gordon to gauge fan reaction. 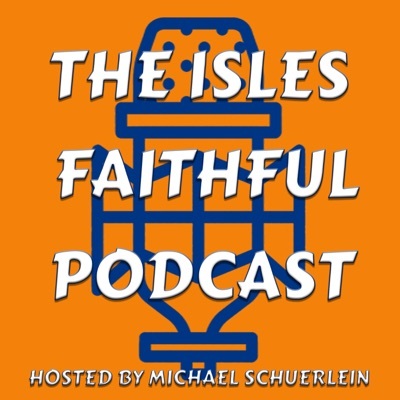 Great to see Islesblogger up and running again. You mentioned it briefly but I want to see them focus on the power play. The pickup of Streit, who helped make Montreal’s power play stellar, can only bring our power play after ranking 2nd to last. The power play is top 2 for me. We need to score to take pressure off the defense. Was the site down at all, or were you just citing my little break from action? Streit should help improve the Power Play and I agree – help the defense out by scoring more, this way they do not have to be completely perfect every single shift. Just citing the break in the action. Although baseball’s still going and the NFL starts in a week, I’m really looking forward to watching this team and discussing this team this year. Let’s hear some of your thoughts then. Wow, Maydog is vicious. Not that I mind someone picking an Islander fan but I think overall Mike does a pretty good job. Granted, the list was a little lacking – Nolan tried to use Dubi to push DP but was shot down by Wang and Snow – but overall it was a good list. – Limit the time on ice for the vets. Weight and Guerin? Second unit power play if at all. If they are serious about rebuilding at the cost of current credibility, buy into it in its entirety. – Take that A away from Suitcase Sillinger. Yeah, he’s old and knows his stuff but he’s a stiff. He’s also been a mercenary who can’t stick with one franchise. Put the A on Park’s jersey to emphasize hard work. – Shoot-and-crash hockey. Got a lane? Shoot the puck. Coming into the zone with both wingers? Shoot the puck. Puck possession requires poise that the kids don’t yet have (and skill they will never have, hahaha). – That Port Jeff ferry? Use it early and often. Play well and hard and you get to stay in the NHL. Relent for even one moment of one shift, have fun in Bridgeport.